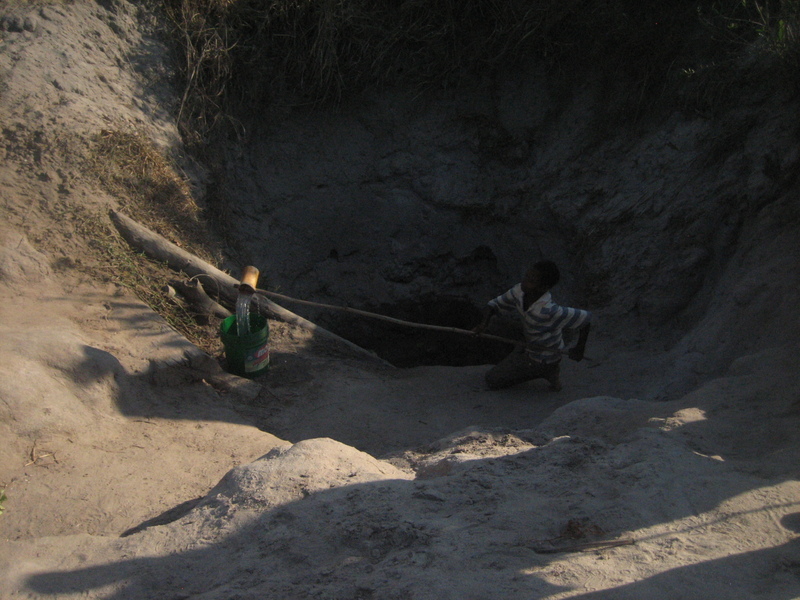 A boy that we interviewed in the village of Mihembe, Mtwara District in southern Tanzania, showing us the slow process of filling buckets with water (see the right photo for ones he prepared earlier), from a pool of cloudy water that stagnates at the bottom of a hand-dug hole. I gave quite a different lecture last week to any I’ve given before. Though I wasn’t particularly nervous, I was gleaning with sweat. My audience sat in front of me on plastic chairs, of a size that I would definitely get my bottom stuck in if I even tried to sit down. The wide-eyed onlookers gave an impression of being interested, at least to start with. Their ages ranged from three years to around twelve, excluding the patient teachers. They all belonged to the Christian Missionary School, set up to educate the next generation of God “fearing” individuals living in the middle-class commuter belt of Dar es Salaam*. (In response to my concerned enquiry, I was told that fearing actually meant respecting/understanding. OK.) Though the students are taught in English from Nursery, my strange accent & vocabulary may have introduced a bit of confusion and my blinding colour been a source of distraction. I think the students in the bigger chairs at the back probably understood 50+% of what I said and provided plenty of (mostly) appropriate answers to my many questions. Importantly, everyone got the message about being a tree when I asked them to. After explaining who I was (I thought it best to miss off the tropical peat swamp forest palaeoecologist role), I tried to convey to them how important the environment is and the different ways we’re hurting it and the many animals that live ‘inside’. A highlight for me came when a three year old, some 10 minutes after I’d asked what animals I might find in the (tiny – yet containing lions, giraffes, other big animals that I’d prefer weren’t there) zoo somehow around the corner, stuck his hand up to proudly announce “horse”. At that point, I was reassured that my conservation message was being conveyed loud & clear. Anyway, once my talk/animal showcase was over, the real education began. My host, Hilda, showed them all a great documentary she had helped to produce: Maji ni Uhai – Water is Life in Kiswahili. It tells the story of water: where it comes from & goes to, what it’s used for & why it’s disappearing, with a particular focus on the Great Ruaha River catchment (obviously a worthy cause). I found it quite overwhelming to see all of the challenges the river is currently facing in maintaining a clean (enough) flow from source to sea, with extraction of water for agricultural irrigation, small-scale arable farming, livestock ranches big & small, and the multiple sources of pollution. But the film was inspiringly optimistic in offering solutions: turn off taps, don’t chop down trees – plant them, don’t drop rubbish (a particular Bugbear of mine), amongst others. Promisingly, the students could recall some of these actions afterwards, as well as the animals that had featured in the film, ofcourse. Hopefully they’ll remember and conserve both. Another Guest Lecturer experience to add to my CV. 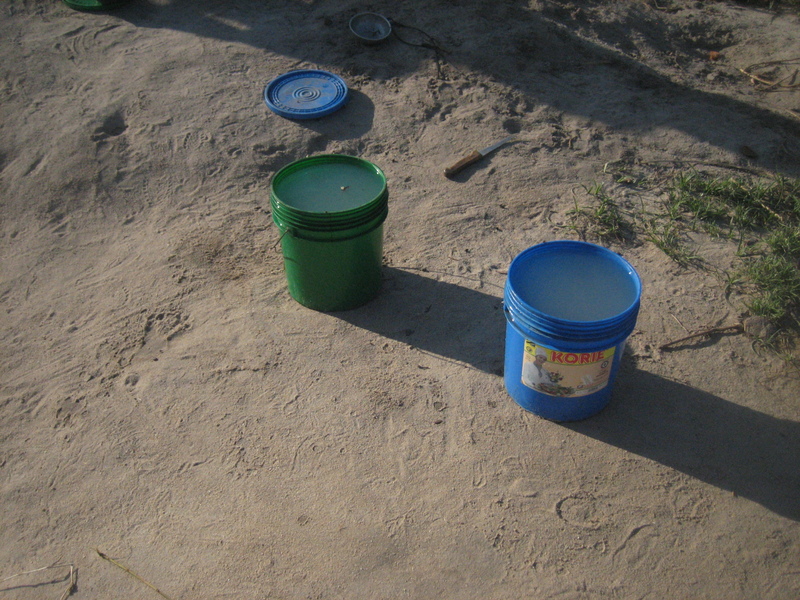 *So I’m in Tanzania….more on that later. 1. Should we rethink our current approach to conservation or try a bit harder doing what we’re already doing? Good question, and probably the answer is it is depends on the situation. I know I could certainly try a bit harder with both advocating for forest conservation and with figuring out a method for translating the words I’ve written on paper into something useful for those ‘on the ground’. 2. Native charismatic leaders are needed in the country where a conservation action is required. This is a particular favourite of mine and one I hear people bring up frequently: change starts with respected, charismatic leaders. I think I would be more likely to participate in the annual ragwort-pull in my New Forest village if the long-standing Doctor (come theatre director, actor and charmer) encouraged me to, than if someone popped by from Sevenoaks to give his/her opinion on what us villagers should do. Not a great example, but we all take more notice when someone we know, trust and respect gives their opinion on something concerning us. 3. The risks associated with not doing anything about forest loss and biodiversity conservation are major. ….in case anyone was considering a change of profession – please hold off for a bit longer. We need to know more about these risks so that we can prioritise our efforts and use the knowledge to incentivise behavioural change. 4. Should scientists be aiming to publish their work on the front page of Science or on the front page of the Daily Mail? I would say both. As to which is more important if only one is possible, again it probably depends on the situation. But I think there should be an obligation for scientists to somehow find the time to translate their work into publicly-accessible pieces (with advocacy potential), and for politicians to put more emphasis on the use of policy-relevant research so that society becomes more tuned-in to evidence-based decision-making….and to all of the proven c**p that’s going on in the world today. Need to take the #rewilding debate from London to the village halls where people will be dealing with the #beavers head on. 5. What potential does the plethora of new technologies have to deal with the old threats? I’m not sure I’m qualified to answer this one, and again it probably depends. There are hundreds of people who are better placed to give their opinion, one of which is the Captain of the Carnegie Plane of Dreams. Professor Greg Asner, along with his hardworking, uber-intelligent minions, has developed technologies to map the chemistry of forest canopies, allowing for species-level identifications over vast areas. I didn’t fall asleep once during his presentation. And there are lots of other things going on out there, one of which I’m involved with. 6. Just remembered a 6th Roads: the bane of tropical forests, or are they? A road that I wish wasn’t there. 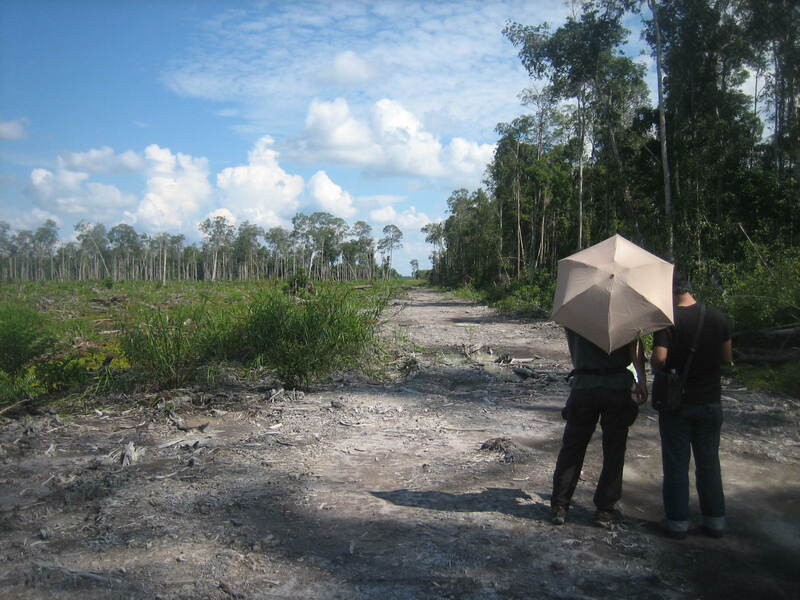 It was constructed illegally (though it seems that’s disputed) into land owned by the Rimba Raya Biodiversity Reserve in Central Kalimantan, and not the plantation company that built it and has started to convert the area on the left into the bland oil palm plantations that this region is now accustomed to. Fronting the “yes” campaign, Bill Laurance provided a convincing argument, showcasing his work on the impact of roads on the tropical forests across the world. On the “No” side, the incredible Vojtech Novotny told a captivating story of the meaning of roads for the people of New Guinea. His colleagues from the island were shocked to hear that people in the UK campaign to halt road building. In a country where access to many places during much of the year is near impossible, and formal education and health care near absent, the thought of getting a road is equivalent to a lifetime of Christmases rolled into one (though the concept of Christmas is probably even more alien to them than roads). In this richly forested nation, the argument for/against roads is nuanced and warrants consideration. The answer to most of these questions seems to be that it mostly depends on the situation. This isn’t just my indecision shining through; I think many tropical forest conservation projects have suffered in the past from the imposition of general rules on unique situations, as each project focus inevitably is. General theories, principles and strategies are obviously necessary and useful, but there’s a whole load of specifics beyond these, which need to be gleaned from every forest and every community.